So once again I have been blessed with the chance to do another cover reveal for another wonderful author! I am now going to turn my blog back over to my dear friend Lindsay Avalon! Throughout history, myths and legends of extraordinary creatures have been told and retold. Fantastic tales of demons and banshees, gryphons and dragons, and of course, magic. Stories that every child grows to learn are nothing more than fantasy…or are they? Beyond the world you see lies a hidden realm, the Mythrian Realm, inhabited by all of the creatures you’ve been told are mere fiction. Only one thing lies between humans and the truth: the Nexus. A magical barrier erected millennia ago to separate the two realms, it has stood the test of time. Until now. For Mythrian Sha Phoenix, magic is nothing new. But when she stumbles upon a portal on the verge of collapse, her fate will forever change. Pulled through the portal into the Human Realm, she lands in the middle of Detective Connor Flynn’s brutal murder scene. Soon it is obvious someone is using blood magic to try to bring down the Nexus. Together, Connor and Sha must work to unravel the secrets before the barrier falls and the realms collide. The Nexus is breaking and all hell is about to unleash…literally. I am a wife, a mother to an adorable mini schnauzer, a programmer, and now an author. I love reading romance because no matter what may be happening in my life, I can always count on my books to end happily ever after. The day I met my husband was the day I truly began believing in happily ever after. After hearing me complain a few too many times that I had “nothing” to read despite the hundreds of paperbacks scattered around the house, my husband began suggesting I write my own stories. When I finally took his advice I discovered that although I enjoy my day job as a software engineer, my true calling is to be an author. My sister drilled into me an appreciation for fantasy and mythology, something I try to bring to my books. 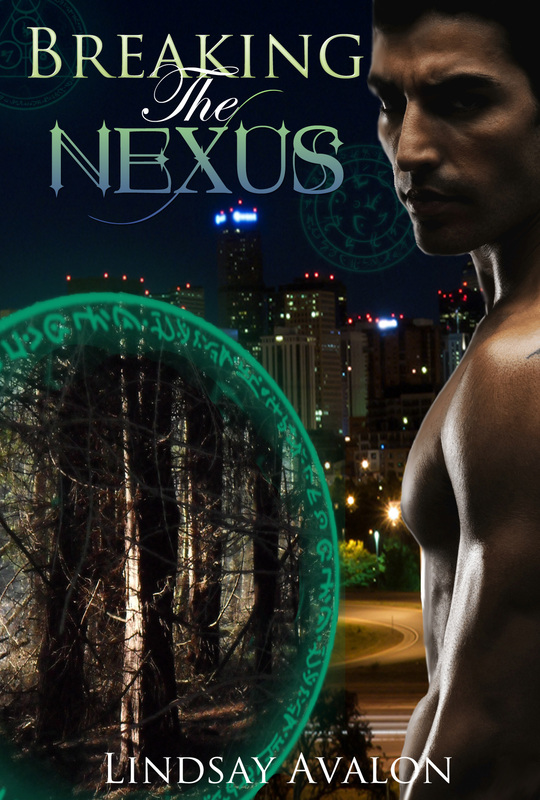 My debut novel, Breaking the Nexus started as a book written for NaNoWriMo and has grown to so much more. It was the conduit that introduced me to a fantastic group of independent authors who have changed my life in unimaginable ways. When I’m not writing, I’ve found a passion for blogging and interviewing fellow authors. I also love reading (of course! ), baking, crochet, sewing sock monkeys, playing video games, and all sorts of random crafts. I have an incurable love of rubber duckies and stuffed animals, and I believe nobody should have to grow up if they don’t want.